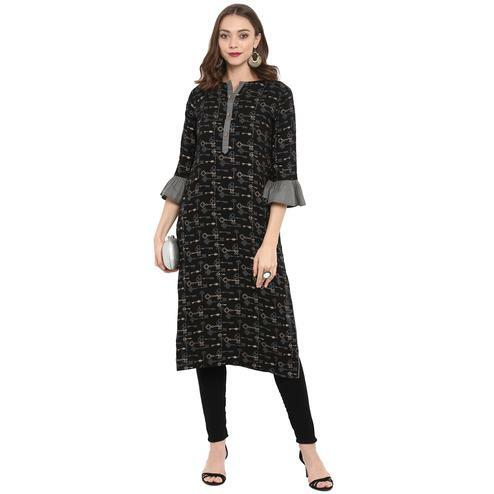 Flaunt sartorial elegance when you wear this black coloured kurta. 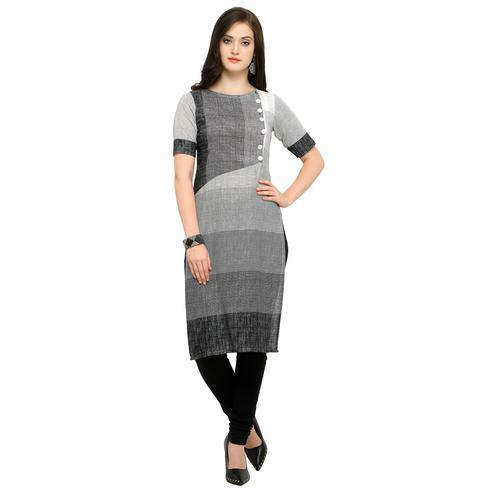 Look classy and stylish in this piece and revel in the comfort of the 100% cotton fabric. 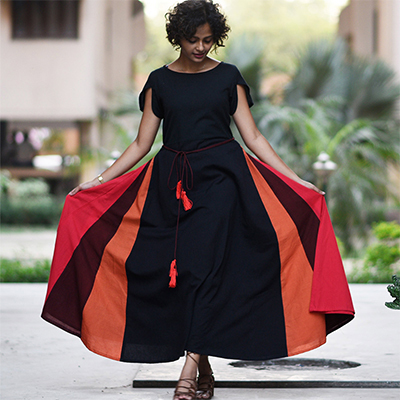 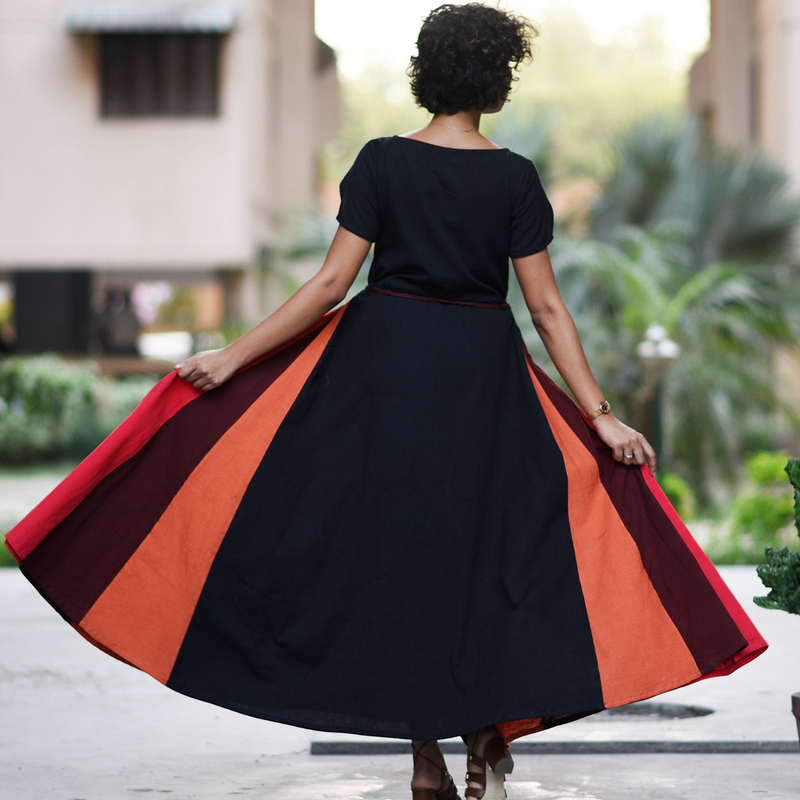 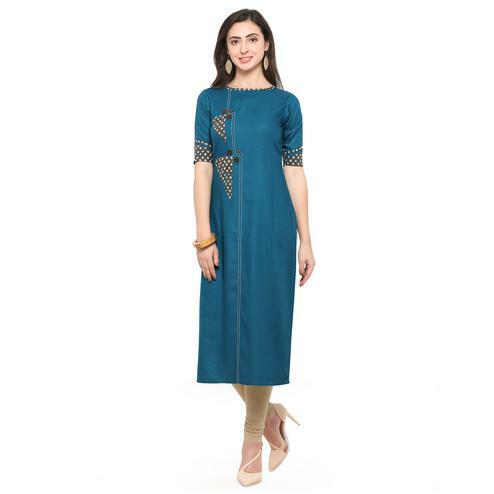 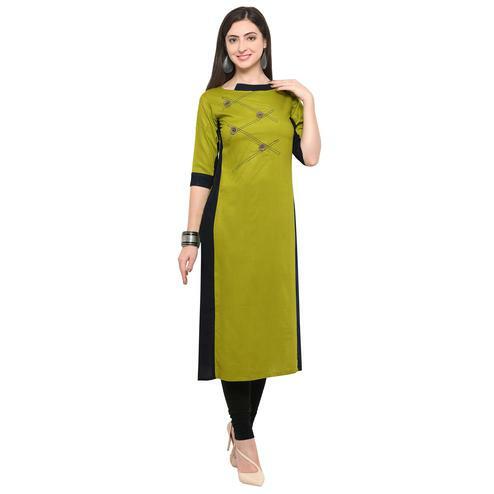 Colourful side patches with pocket gives a the kurti a stylish flair. 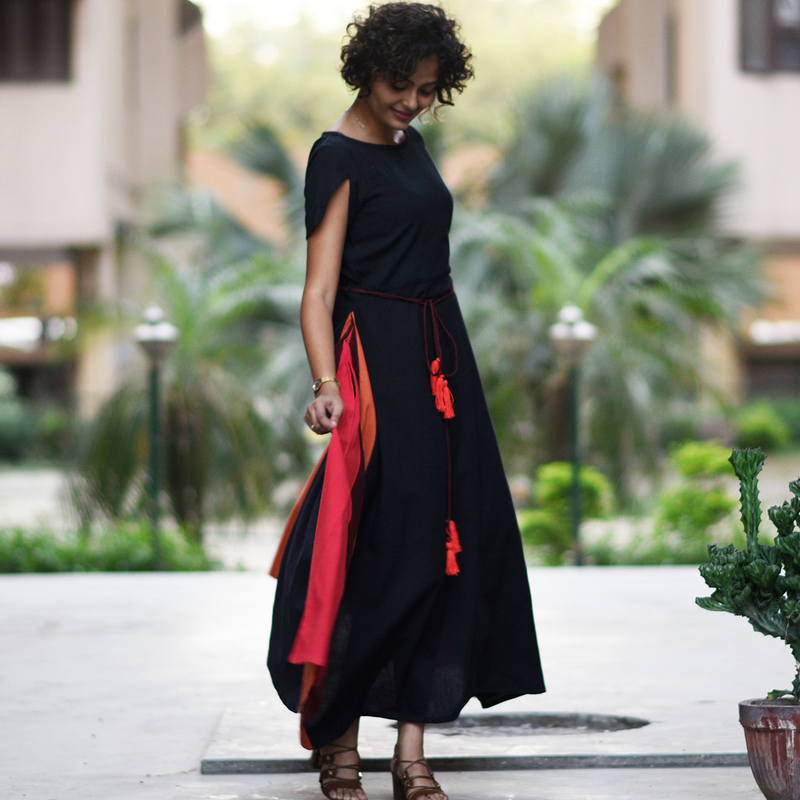 Team it with contrasting churidar and heels or kolhapuris to complete your look for the day. 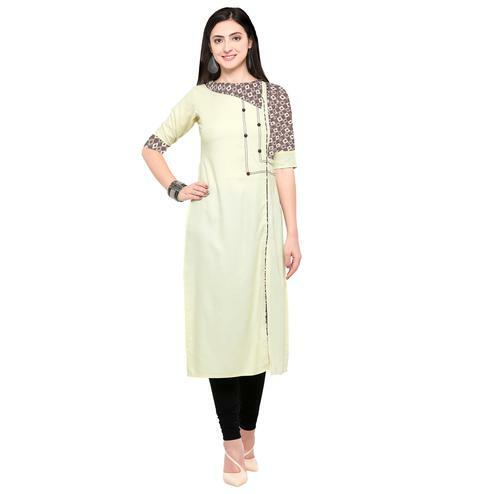 This attractive kurta will surely fetch you compliments for your rich sense of style. 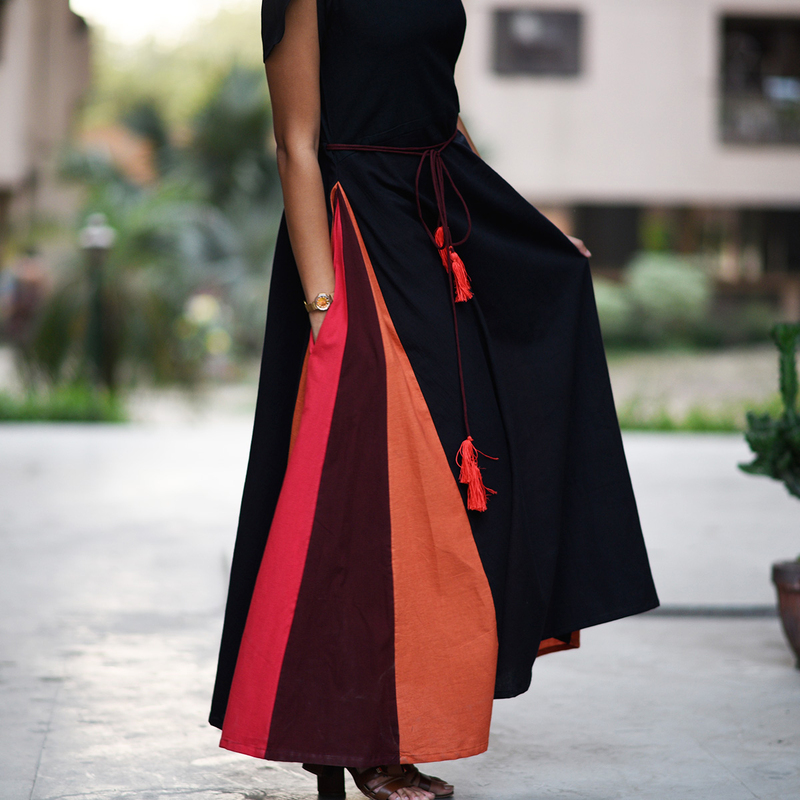 Length Upto 48 - 50 inches.